If you’re an ancient historian, most people assume that you have no interest in the sciences but that’s not really true. 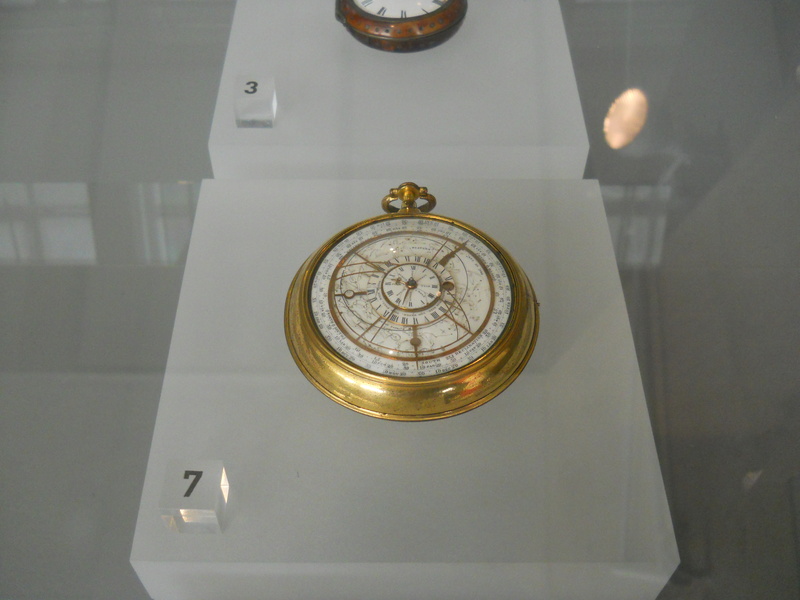 In an endeavour to acquaint myself with the scientific world further I recently took a trip to the science museum in London. 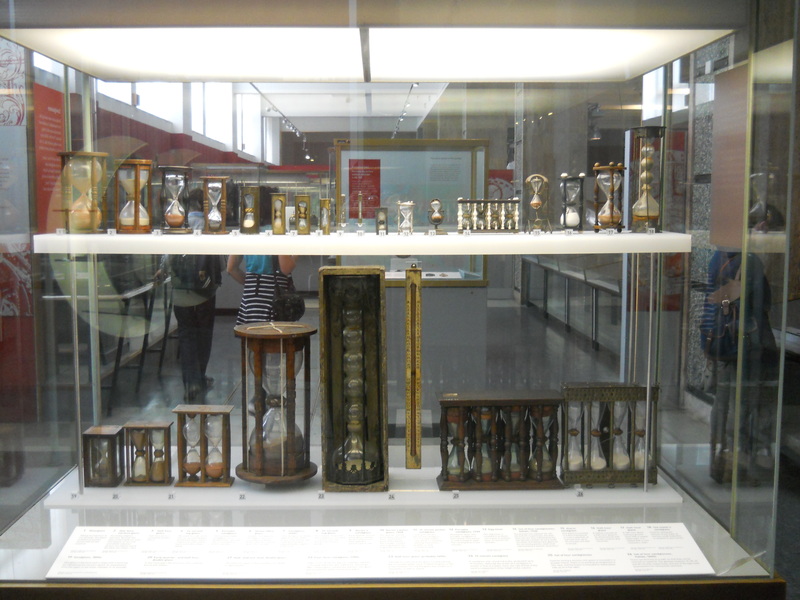 National museums tend to make grand first impressions and the science museum does not disappoint. 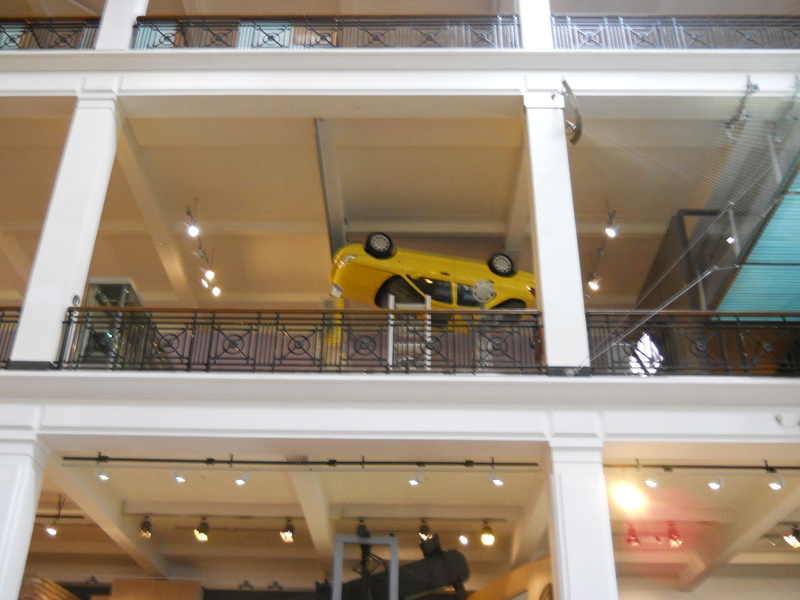 Upon entering it you are thrust into a spacious hall, encased by archaic steam machines and gazed upon by two tiers of open galleries giving you glimpses of what exhibits await you, possible the most bizarre of which is this upside down car. 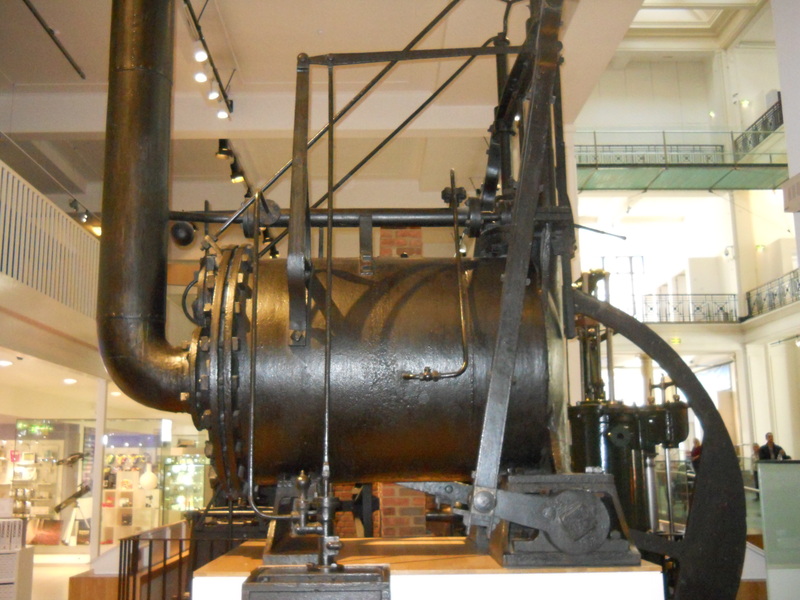 The gallery/entrance hall demonstrates the development of steam power and somewhat surprisingly to me indulges in a little bit of social history of the industrialised world. Being a science museum I presumed a focus on theory would predominate but instead the chance to learn how science affects us was a very welcome development however the numbering and layout of the steam machines was somewhat awkward and haphazard. If one does not pay attention to the numbering it is very easy to lose the sense of chronology it strives to create. However an awkward layout here might be of necessity, the machines have space demands therefore it may have been the only feasible way to display, and indeed work them. However orientation in the museum does appear to be an on going concern. The first opportunity to find any leaflet maps, wall maps or directions do not seem to occur, or at least were not seen by this reviewer, until the end of the steam gallery. Ideally a visitor should be able to orientate themselves upon arrival, not 20 minutes into their visit. Furthermore the galleries do not run on in any chronological or sequential manner, upon leaving the steam age you enter into the space age and then indulge into a variety of thematic galleries as you progress. If a museum has many diverse theme based galleries it becomes even more important that helpful signage exists so as to direct people to the relevant galleries to their interest. Personally I was most interested in the Comos & Culture gallery, however apart from the basic leaflet map there were no directions to aid me, indeed even the map was devoid of landmarks to help orientate yourself. Finally, the uncanny may not realise that the 4th and 5th floors are smaller than the rest so only cover a limited area thus not all stairs will take you completely up. Navigation aside the content of the exhibits make for compelling reading and the scale of some of the exhibit pieces is quite astounding with aeroplanes hanging from the ceiling and cars stacked up upon each other but arguably some of the real gems are the smaller intricate pieces such as in the Comos & Culture gallery which explores the relationship between mankind, the stars and timekeeping. The museum has such a breadth of galleries that it is almost certain to have something to meet your tastes and it houses many aspects of a more interactive nature, such an Imax cinema, simulators and whole galleries of interactive exhibits. Personally I did not use these facilities so I cannot pass comment on them however the fact they exist demonstrates the variety of ways to approach science that are available here.